Welcome to the My Triathlon website (“website”). These terms and conditions (“Terms”) apply to your visit to the web site. Please read these terms carefully before ordering any goods from the website. If you access the website and place an order for goods you agree to be bound by these terms. If you do not agree with these terms please do not use the website. We reserve the right to change these terms at any time and it is your responsibility to check before ordering. This does not affect your statutory rights. You should print a copy of these terms for your reference. My Triathlon primarily uses email to communicate with you. My Triathlon cannot be responsible if delivery information does not reach the intended recipient by email. The onus is on the customer to ensure that their Spam filters will allow My Triathlon emails through, for example by adding contactus@mytriathlon.co.uk and admin@mytriathlon.co.uk to your email address books. My Triathlon can only be responsible for ensuring that the email address provided is the one to which customer emails are sent. If you are a new user you will need to register by entering your e-mail address and creating a user name and password. You will receive an e-mail confirmation of your successful registration. You will then process to a secure page where you will elect your payment method and complete your order. When you place an order via this web site we will treat that order as an offer to purchase. Following submission of your order you will receive an automated e-mail acknowledgment of your order. The order acknowledgement does not mean that the order has been accepted. All orders are subject to acceptance by us and we will confirm acceptance to you by confirming your order has been despatched. Once we accept your order a contract to purchase and deliver takes effect. Any products not in stock will be placed on back order. An order cancelled before dispatch will be refunded after a deduction of 3% plus £0.25 that reflects the charge we incur from the card processor. If you cancel after despatch there will be a deduction from any refund of a 5% cancellation fee or £5, whichever is the highest. We will endeavour to ensure availability of all advertised products and to despatch within the quoted time. If there is a delay we will inform you of this by e-mail and the product will be despatched as soon as is practicable. My Triathlon has no liability to you as a result of any delay in the delivery. You have the right to cancel delayed orders at any time by contacting us with your order number. This can only be cancelled before the item is shipped. The easiest way to make payment on our website is to use the standard online payment process, using Paypal, credit card or debit card on world pay, and including American Express on Paypal. Some customers experience payment issues. We suggest either calling us directly, so we can try to process your card details over the phone, or a direct transfer. 1 - Call us with your card details and we can complete the transaction over the phone. Free delivery is offered for all orders over £25 in value except wetsuit rentals. All orders will be despatched by Royal Mail or sign for second class depending upon the value and weight of good being despatched. Priority orders will take precedence over 'free' delivery goods. If you are ordering multiple products and we are out of stock of a product within the order, we shall await delivery of the order until that product has been received. After 5 working days we shall despatch the other goods whether the final product has been received or not. We shall forward the out of stock goods at our cost when we receive them. If the good(s) are unable to be delivered due to customer error, the return cost will be charged back to the customer. Upgrade your order for just £1.99. Orders are prioritised through our system and are typically delivered within 2 working days. For Highlands and Islands, please allow up to 5 working days. Priority Order before 1pm for weekday dispatch. Weekday delivery only, excluding Bank Holidays. Orders placed after 1pm will be dispatched the next working day. Next Working Day delivery is only available on items in stock in our warehouse and excludes pre-order items. Next Day refers to the next working day, Bank Holidays will add an extra working day to the estimated delivery lead times. UK next day excludes Saturday, Sunday and Bank Holiday deliveries. Standard Overseas Delivery can take two weeks and sometimes longer and there is no tracking. Priority Delivery can be as quick as 2-4 working days. Tracking number is provided upon request for priority delivery. Overseas delivery costs are only an estimate. We will advise prior to shipping if there are any additional costs. If the good(s) are unable to be delivered due to customer error, the return cost will be charged back to the customer. The process to return products is to complete the on-line returns form which can be found by logging in with your e-mail and password. [If you lose your password this can be quickly changed by e-mail] Once you have logged in, go to your account section , click on the relevant order and click 'request return'. If this form is not completed this can cause a delay in actioning your request particularly at busy times. Returns that are not due to a fault with the product MUST still have any packaging/labels attached. Refunds can take up to 14 working days to process. If a challenge is raised with the card company before this time has passed, all charges associated with this challenge will be passed on to the customer (usually £15). If a change of details is requested such as priority shipping or change of delivery address, we charge a £10 admin fee for each change. Please note that you can change the delivery address yourself providing that is before despatch. If the change of address is important we suggest placing a second order to the new address, the first order can then be refunded in full less a charge for delivery. A replacement will normally be sent as soon as we receive the goods back and the on-line returns form has been completed. A Store credit will normally be applied if we do not have a replacement in stock. If a product is covered by warranty we can either offer a replacement or a store credit as a refund. Request replacement. As soon as we receive the goods back and a completed returns form we will despatch a replacement. Request refund. As soon as we receive the goods back and a completed returns form we will refund you. This will take 21 working days to reach your account. All new products are covered by the normal manufacturer’s warranty. If a product has a fault after use please take photos of the fault and email the photos to 'contactus@mytriathlon.co.uk'. On the odd occasion products can be only covered for REPAIR, if this is the case then we do not offer a replacement or store credit - only a repair. If the product is covered by warranty (unless only covered for repair) we can either offer a replacement/exchange or store credit. If a product is faulty after use we do not offer a free return of the product. Ex Rental wetsuits must be checked on receipt. Any damage must be reported by telephone AND e-mail to contactus@mytriathlon.co.uk within 48 hours. THE WETSUIT MUST BE returned within 4 working days. After this period the wetsuit is non returnable. If it is returned and a refund sought, we reserve the right to offer a refund after deducting a charge for the rental of the wetsuit for the time it takes for the wetsuit to be returned. The minimum charge for a Standard wetsuit [that retails new for less than £200] would be £45 for one week, £55 for two weeks. Better quality wetsuits rentals are between £75-£149 for a one week rental and up to £149-£249 for a month long rental. Please note that a 2 hire will already have some minor damage on it, that has been repaired. Swimskins are occasionally purchased as an insurance policy. Our standard returns period will apply to Swimskins, however if they are not returned for a size exchange, any refund will be in the form of a 75% refund. So there is an effective 25% rental fee. Our policy on Swim Buoys & Dry Bags is different to other items as our return policy for these items is up to 30 days. The reason for this policy is to avoid people using swim buoys and returning them as if they are new. If you have received unwanted, unsolicited email sent via this system or purporting to be sent via this system, please forward a copy of that email with your comments to contactus@mytriathlon.co.uk for review. All Hire wetsuits are sent out by courier. All new and hire suits, when sent out have been checked for damage, prior to packing, and are therefore in perfect condition when they leave storage. All wetsuits must be checked on receipt. Any damage must be reported by telephone AND e-mail to contactus@mytriathlon.co.uk within 48 hours prior to trying on the suit. Postage is by courier and requires someone to sign for the package, so we recommend that you specify your place of work unless someone is always at home. We cannot be responsible if you order last minute and there is no-one present to sign for the wetsuit. Please note that it is important that you check your height and weight [using the size guide –on the web site] If you are not used to triathlon wetsuits you may find them initially uncomfortably tight. However they do give once in the water. If you discover that your wetsuit is not the right size for you then please email us at contactus@mywetsuithire.co.uk to re-arrange a new size. We recommend that you book your wetsuit well before your event as every year people are disappointed that they cannot order last minute. You will enter your event and preferred despatch date. Your wetsuit will be despatched at the appropriate time before your event by courier. Our unique buy back policy enables you to purchase any wetsuit and return it at the end of the season [30 September latest]. The wetsuit must be in good condition [no damage at all and clean]. Return it to the address on our website and we shall refund the deposit within 15 days. We recommend the use of special delivery to ensure you have evidence of receipt and the wetsuit is insured should it go missing. The suit is the responsibility of the hire. All hired wetsuits must be returned by September 30th 2015 in a good & clean condition. We reserve the right to charge you for cleaning (£15), repair (£15 per nick. If the wetsuit is damaged beyond reasonable repair we will charge you for the full price of the wetsuit) We will contact you by e-mail before making any charge. However if you have damaged the suit it maybe easier to purchase the wetsuit, it will not cost more than standard selling price. If you decide to keep your wetsuit you just need to let us know that you are retaining it. If you do not return it to us by the due date we will assume that you wish to retain it and when returning your wetsuit, we recommend that you use special delivery as proof of despatch. Please note that the new season’s wetsuits arrive in the UK during February and are despatched upon receipt. In order to take advantage of this competitive rate the wetsuit will be despatched on the Tuesday and should arrive Wednesday or latest Thursday unless you have ordered last minute. The wetsuit must be cleaned and dried and despatched Monday morning [special delivery] to ensure it arrives back by Tuesday. If we do not receive it back by Wednesday latest we cannot rent it the following weekend and will have to charge you a further £25 [More for more expensive wetsuits] for a further week’s hire. If you notify us before your rental period has ended the charge is reduced to £15 for each additional week of rental. If you want to change to a different product e.g. Full Season Hire there will be an administration charge of £20. There is a purchase option If you decide to keep your wetsuit. However you must contact us otherwise we will charge £25 per week until you do contact us. When returning your wetsuit, we recommend that you use special delivery as proof of despatch and delivery. For those who prefer an opportunity to test the wetsuit the weekend before your event, we send this wetsuit out on the Wednesday – 10 days before your event weekend. We ask that you return the wetsuit [by special delivery] clean and dry on the Monday following your event so that it arrives back by Tuesday. If we do not receive it back by Wednesday latest we cannot rent it the following weekend and we must charge you a further £25 for an additional week’s hire. We reserve the right to charge you for cleaning (£15), repair (£15 per nick). If the wetsuit is damaged beyond reasonable repair we will charge you for the full price of the wetsuit) We will contact you by e-mail before making any charge. However if you have damaged the suit it may be easier to purchase the wetsuit - it will not cost more than thrstandard selling price. 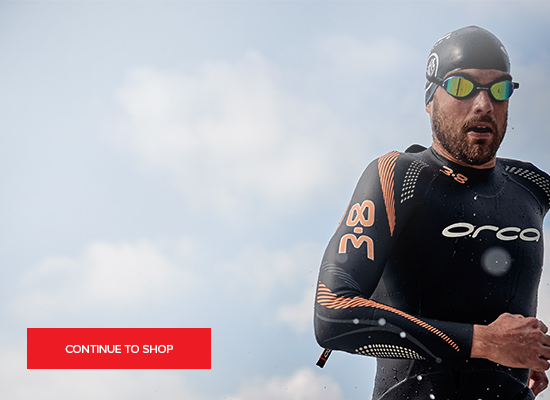 There is a purchase option if you decide to keep your wetsuit. However you must contact us otherwise we will charge £25 per week until you do contact us. When returning your wetsuit, we recommend that you use special delivery as proof of despatch. For those who prefer to take their time or who can perhaps combine more than one event we offer a three week hire. We will send this wetsuit out on the Wednesday – 17 days before your event weekend. We ask that you return the wetsuit [by special delivery] clean and dry on the Monday following your event so that it arrives back by Tuesday. If we do not receive it back by Wednesday latest, we cannot rent it the following weekend and we will have to charge you a further £15 for an additional weeks hire. We shall be attending London and Blenheim Triathlons this year. Where we attend such an event there will be no delivery charge. The suit is your responsibility. All hired wetsuits must be returned by the Friday following the weekend of hire in a clean and good condition [no holes, tears or rips to the wetsuit]. We reserve the right to charge you for cleaning (£15), repair (£15 per nick). If the wetsuit is damaged beyond reasonable repair we will charge you for the full price of the wetsuit. We will contact you by e-mail before making any charge. However if you have damaged the suit it may be easier to purchase the wetsuit - it will not cost more than standard selling price. We cannot accept any returns after an event that we attend. They must be posted to us to the address above. A £5 voucher is offered for registering on the web site. The £5 voucher is redeemable against purchases with a minimum spend of £50. From time to time we may have other offers that generally are available for a short period and are not indefinite. My Triathlon makes no warranty that this website is free from computer viruses or other malicious computer programs. My Triathlon complies with UK consumer law including the Distance Selling Regulations. The price shown for the goods excludes postage and packing unless specifically stated. The charges for postage and packing are shown in the Checkout once you have entered the method of delivery and before you are asked to confirm the order. The price you pay will include VAT for all deliveries within the European Union. For deliveries outside EU, the price you see does not include any VAT. Delivery to non-EU countries may result in import duties payable on receipt of the goods. You will be liable for these duties. This website and its content is copyright of My Triathlon 1 Retail Ltd - © 2008. All rights reserved. Don’t worry, this is a common occurrence and something that we have all done and continue to do several times over the life of our wetsuits. A small nick to the neoprene won’t affect performance of the suit or weaken it and is easily repairable using specialist neoprene glue such as Black Witch. The glue gives a strong, long lasting, and, if done carefully, almost invisible repair. Take a look at everyone else’s wetsuits at your next swim or race and you’ll see most suits have several nick repairs to them. To prevent fingernail nicks to your wetsuit gently ease the suit on, the videos below show how to put your wetsuit on.